a divine combination that could be dessert! Sautéing the mango slices in neutral-tasting canola oil is key to keeping the tropical flavors in this dish clean and clear. The rice goes well with Turkey and Plantain Stuffed Poblano Chiles. 1. In saucepan, cook rice with water, coconut milk and salt over medium heat. Once rice boils, lower temperature and continue to cook, covered, until rice is smooth and fluffy, about 20 minutes. Remove from heat and set aside. 2. In sauté pan, warm canola oil on medium heat and lightly sauté mango pieces until they turn light golden color. Add chopped basil, then remove from heat. 3. 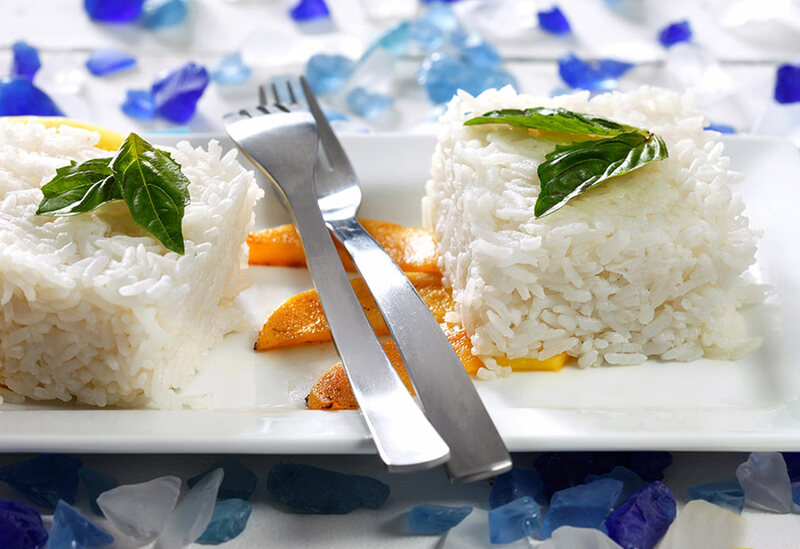 Serve rice in bowls topped with mango pieces and fresh basil leaves. 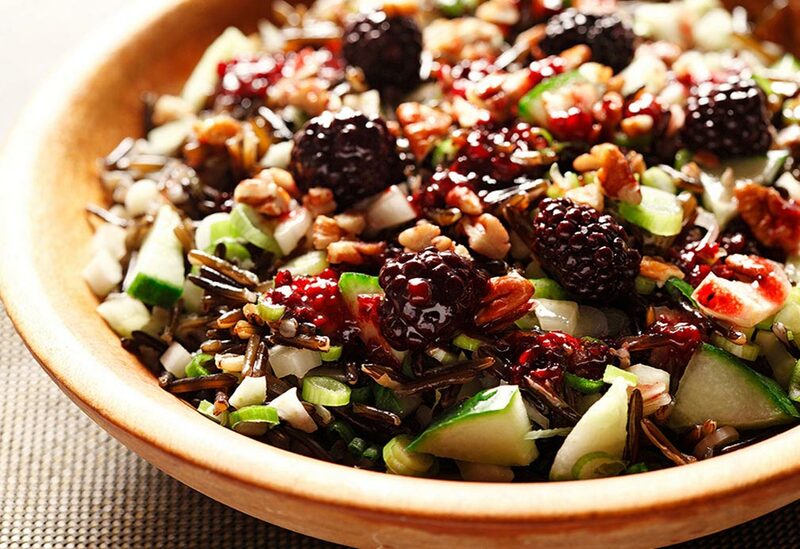 Prepare the wild rice up to 2 days in advance to make quick work of this gorgeous salad. 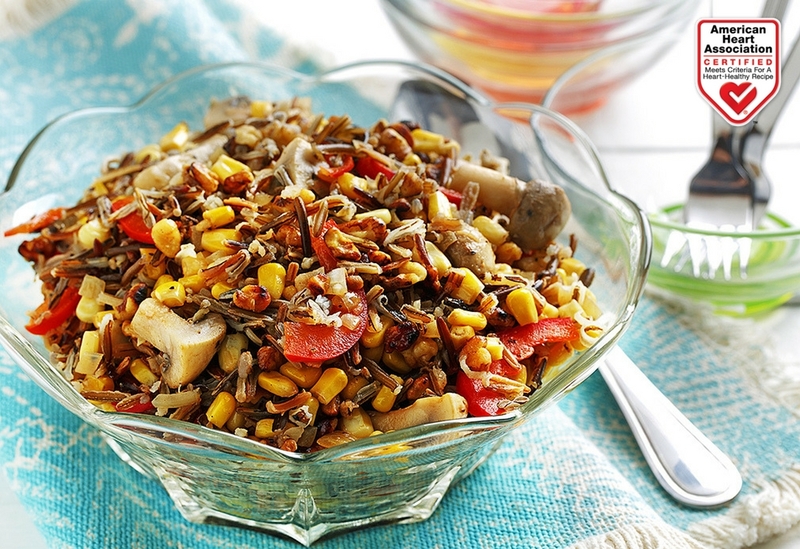 A perfect accompaniment to any grilled or roasted meat, also a lovely side in a packed lunch. Serve warm or cold. Traditionally, red beans and rice is served on Mondays, especially during the Mardi Gras season. 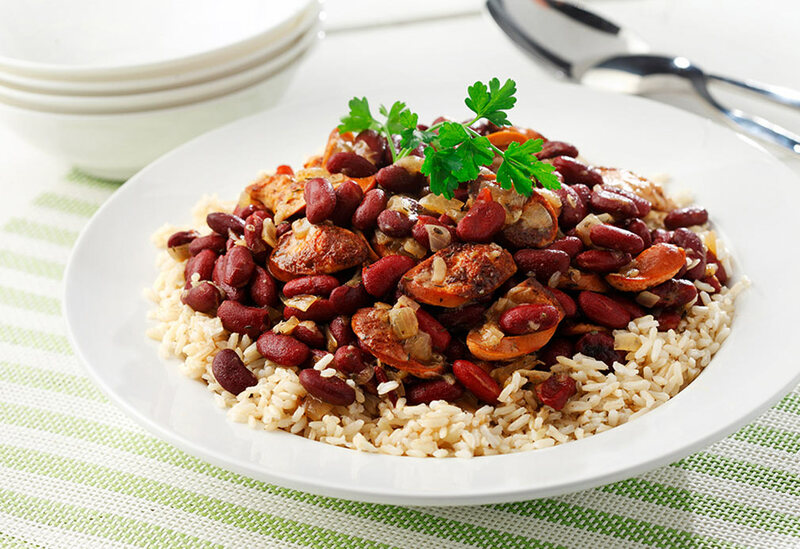 It is generally made using dried beans and smoked pork sausage, but here's a flavorful, "hurried up" version with canned beans. Canola oil helps brown the lean turkey sausage and keep saturated fat in check.